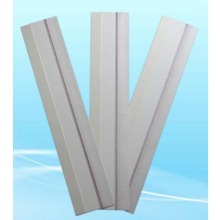 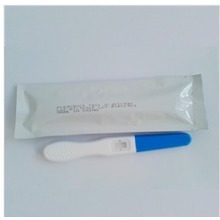 Pay attention to the production date on the box, do not use outdated pregnancy test strips, because the chemicals for a long time or improperly preserved will fail. 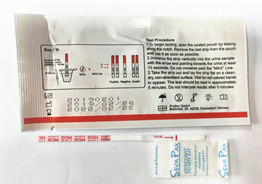 Before doing self-test carefully read the instructions, and then carefully follow the instructions. 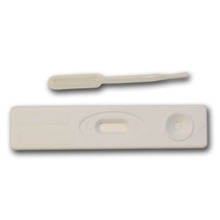 Pregnancy test stick is generally more than 7 days after the moon check is more accurate. 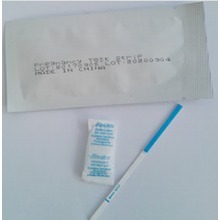 Because it is related to the body's HCG, HCG can not be measured until it reaches a certain level, so it is best to use it after the menstrual period is delayed for 7 days. 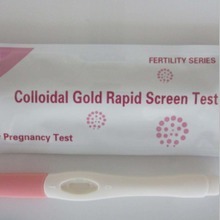 If the pregnancy has just begun, or the possibility of ectopic pregnancy (ectopic pregnancy), HCG levels generally low in the sample to be tested to be allowed to stand more than 3 minutes (usually only 1 minute), and must be carefully identified whether there is a weak positive detection zone Ribbons appear only faintly.